I must plea with gym teachers — please never set up teams by having kids pick for themselves. You know what I'm talking about — when a gym teacher selects two captains, and kids in the class stand in a line on the other side of them. Then one "captain" picks a student, the other “captain” picks another student and so on. 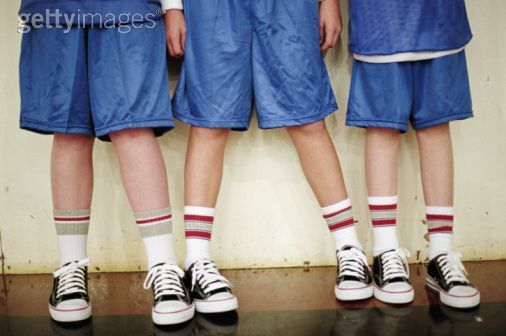 In gym class in middle school, 99 percent of the time, even when my so-called friends were doing the picking, I was last or second to last to be picked. And it was the worst feeling in the world. I can remember exactly how it felt standing in that line, like we were cows to be slaughter or products on a shelf instead of human beings. I remember exactly the feeling when my hands started sweating as I prayed to God that maybe this time I wouldn’t be last, seeing the captain sigh as he or she was forced to pick me. 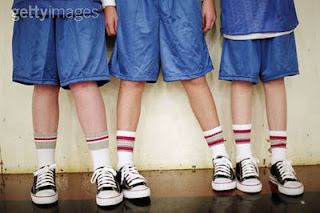 I have never understood why gym teachers do this. To me, it just sets kids up to feel bad about themselves, giving other students a platform to begin bullying (for me, I got wood chips thrown at my head on the playground). It’s not like being picked for prom queen or president of the student council. I’m not going so far to say all of this should be eliminated from schools. In those instances, one person is selected out of hundreds. But could you imagine a school having a contest “Least likely to be voted prom queen.” No, that would be cruel. But in gym class, being picked last felt just like I won that contest. To feel like you’re being ranked by what number you’re picked in the class, down to the very last person, seems inhumane to me. It not only made me feel like I had no athletic ability in sports, but that, among everyone in class, I was the least liked as well. So, please, I beg of gym class teachers, as the girl who was picked last, don’t do this to your students. Even when the popular kids groan (the kids who know they’re first for the picking) have the kids count off numbers for teams or randomly pick kids for teams yourself. I wish I never would have known I was picked last. It’s one of those moments (or several moments for me) that sticks in your head forever.